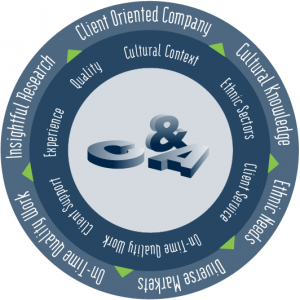 Castillo and Associates is a Multicultural Market Research and Communications Company that specializes in market research, strategic planning, consulting, and communication. Established in 1994 in San Diego, California to serve the growing Hispanic community, Castillo & Associates strives to provide quality and affordable communication services while meeting every one of our customers’ needs. The Hispanic population of the United States as of July 1, 2012, making people of Hispanic origin the nation's largest ethnic or racial minority. Hispanics constituted 17 percent of the nation's total population. Number of Hispanics added to the nation's population between July 1, 2011, and July 1, 2012. This number is close to half of the approximately 2.3 million people added to the nation's population during this period. Percentage increase in the Hispanic population between 2011 and 2012. The projected Hispanic population of the United States in 2060. According to this projection, the Hispanic population will constitute 31 percent of the nation's population by that date.